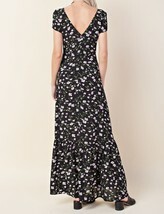 This floral Black Maxi Dress is just a dream! Featuring a v-neckline in both the front and back. Buttons (and they really work) line the front and a zipper in the back. Dress parts at the knee in a flirty ruffle. 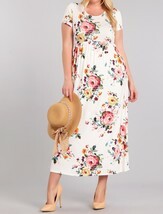 You definitely need this dress!